Of course, not that blue (or even black or silver) has disappeared from this season’s palette. For the most part it’s just that favorites have been re-imagined, if not revisited, through dials in varying textures and hues of green. Plus, one other good thing about all this is that this current green movement spans the spectrum of brands and price points, democratizing the color in a new way. Now, surely there are more pieces which can be included in this list. But for now here are some that props the argument that green really is in. 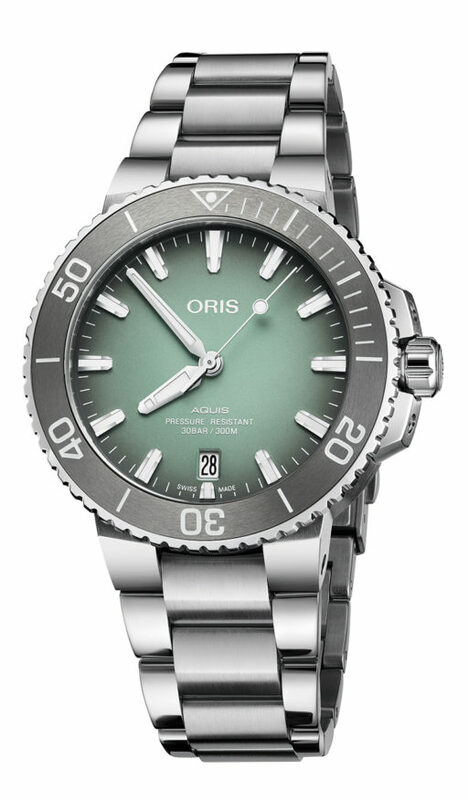 Oris actually rolled out a Divers 65 and another Aquis version which both have deep green dials. But this piece’s pale, gradated grayish-green dial and tungsten bezel looks simply minty fresh even while evoking a vintage-y vibe. And it’s a serious dive watch, too; its 39.5-millimeter steel case, screw-down solid caseback, screw-in crown and sapphire crystal allow for a 300-meter water resistance. Beating beneath it is Oris’s self-winding cal. 733, which is based on a Sellita 200-1. This watch is available starting in june. 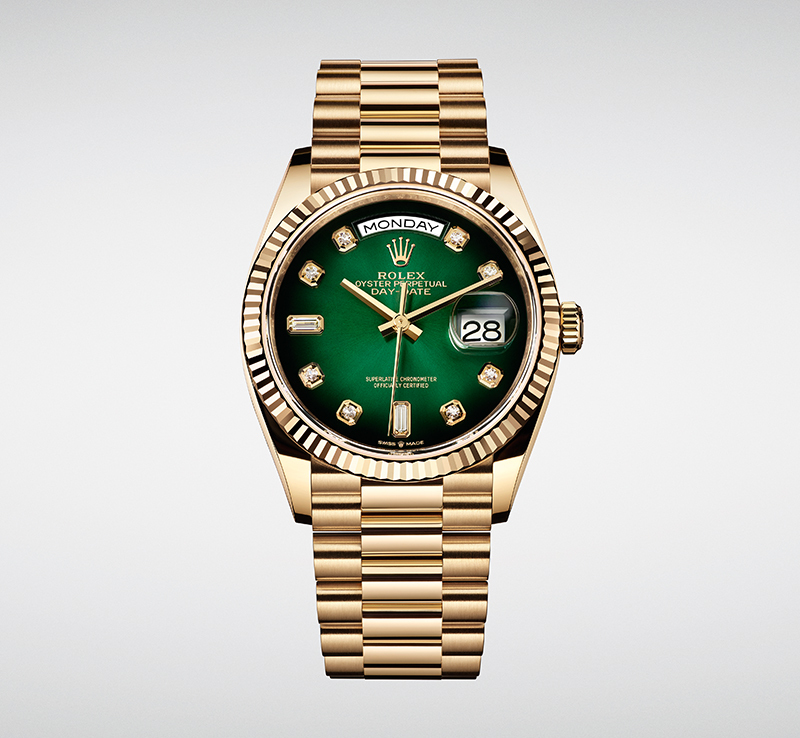 Debuting in 1956 its iconic day display, the Day-Date (as well as numerous other Rolex models) has seen its share of green-dial versions. In its latest form the piece gets to wear a gradated ombre green dial over which diamonds, set on 18-karat gold bases, serve as hour markers. The three hands are in 18-karat yellow gold, too, as well as the sedately-sized 36-millimeter case with the signature fluted bezel. Matching all this is a bracelet made from the same precious metal. 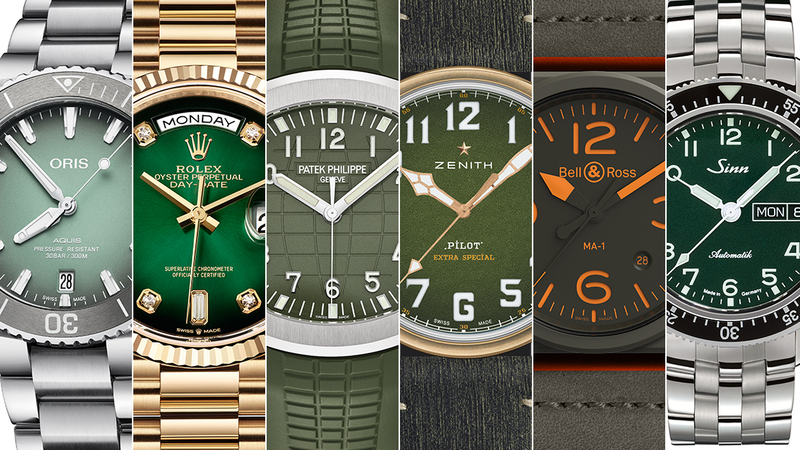 Beneath the gold beats Rolex’s self-winding cal. 3255 which, as a Rolex, is a superlative chronometer. A certified disruptor upon its launch in 1997, the Aquanaut has evolved to become one of Patek Philippe’s most coveted models. Rendered in numerous ways — including last year’s bold orange-suffused chronograph — the new Aquanaut “jumbo” goes a little more stealthily in a khaki green garb. 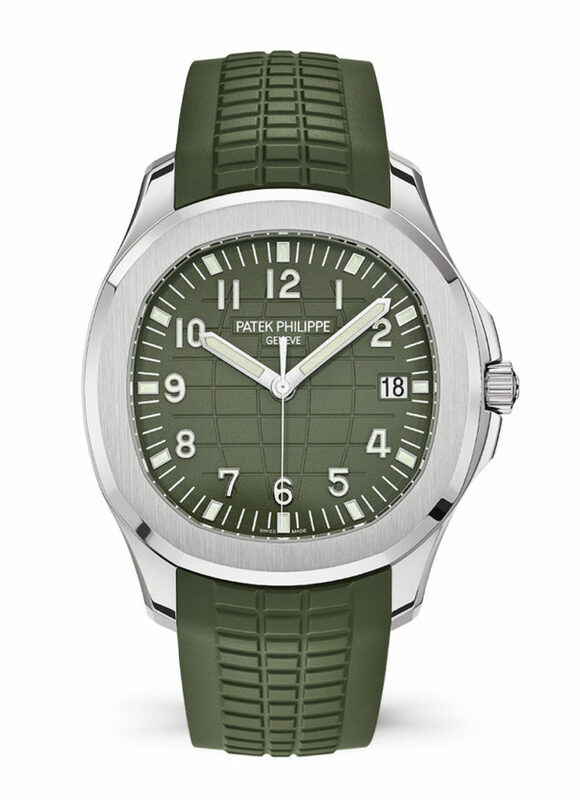 But don’t be misled by the plebian connotation of “khaki” (nor by the khaki green rubber strap); the three-hand 5168G has a 42.2-millimeter case made from white gold, as are its applied numerals. This, no question, is a sport luxury watch. Powering it is the in-house, self-winding cal. 324 SC. 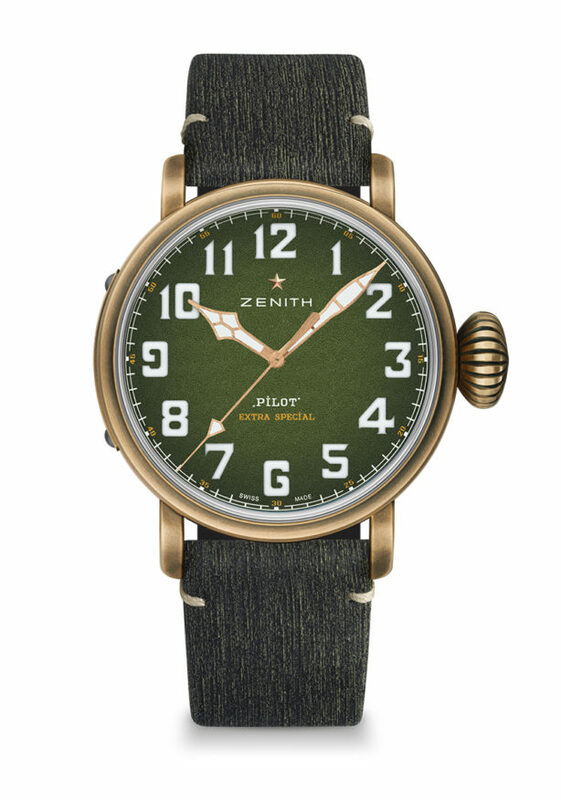 Zenith brings out this year two versions of its Pilot Type 20, a three-hander and a chronograph, both of which housed in 45-millimeter bronze cases with grained khaki green dials. It’s the three-hander that gets the Extra Special tag, hinting it is the piece that keeps to early 20th-century pilot-watch tradition more faithfully. Helping further this association are its huge Arabic numerals in period-correct font, and retro cathedral hands. Residing beneath the case is Zenith’s self-winding Elite 679 calibre. With the BR 03-92 MA-1, Bell & Ross adopts a new source of inspiration even while sticking to its flight-instrument design DNA. The new rendition of the 42-millimeter BR 03 case mimics the look of the US Air Force’s legendary MA-1 flight jacket, which was designed for pilots in the late 1950s who were taking to the skies in much faster jet-powered planes, and thus could also fly higher (which means colder environments, too). 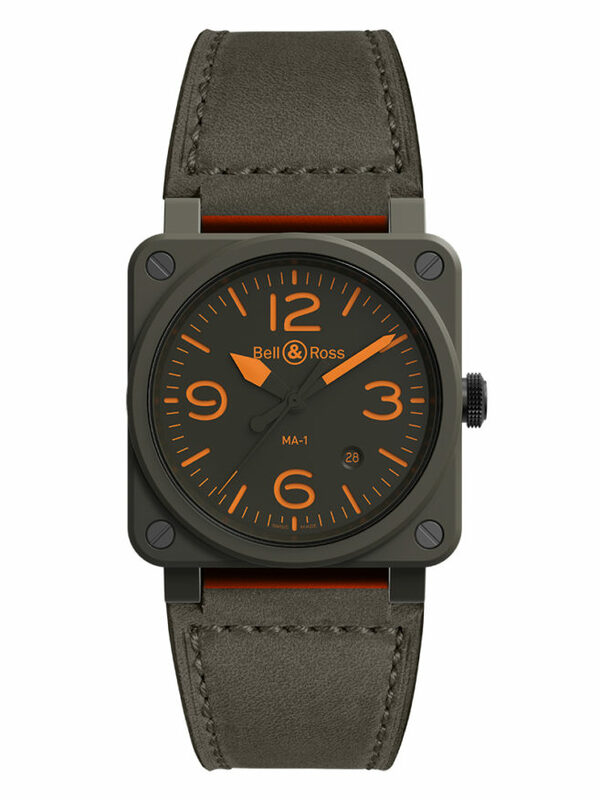 The BR 03-92 MA-1 wears the khaki green color of the jacket on its case, dial and strap. Matching the green are bright orange touches that ensure legibility, as well as aid in visibility should one need to be searched and rescued. Under this wardrobe is Bell & Ross’s Sellita SW300-based BR-CAL 302. Sinn has been rendering its dials in a variety of colors lately — from deep red to brown, blue to salmon. With its new 104 St Sa A G, limited to only 500 pieces, the watchmaker has turned to green. 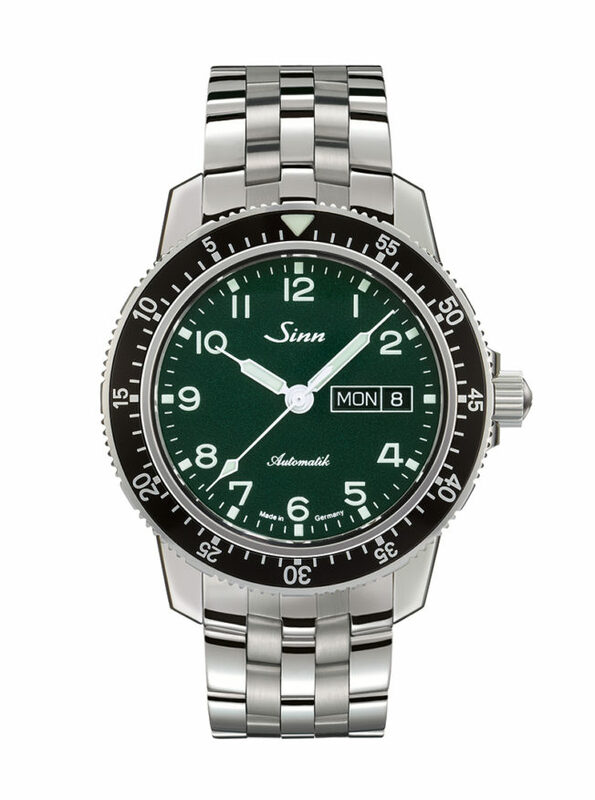 The 104 St Sa A G, dubbed by Sinn as the “classic pilot watch,” has a metallic green dial with luminescent numerals and syringe hands, which are then covered by a 41-millimeter steel case. Visible through its crystal caseback cover is the self-winding ETA 2836-2. Yes, there is nothing extraordinary with this watch. But somehow it could manage to elicit envy.